Charming all-brick country home w/ wraparound porch on 25+ acres - great for horse/hobby farm. 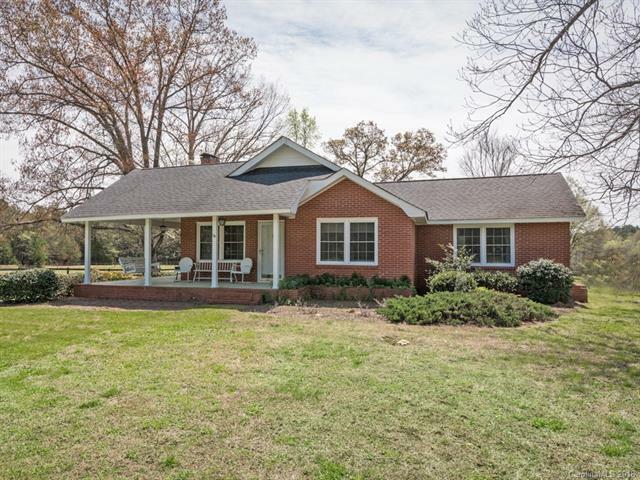 Minutes from Lancaster SC & Waxhaw NC. Nestled in the community of Buford, home has been extremely well maintained. Live your country dream and bring your horses to this quiet, winding country road where the stars shine bright at night. The property is divided by Tabernacle Road and Sellers will consider subdividing with Tabernacle Road as the dividing line. The home, 6-stall horse barn w tack/hay storage, equipment/storage shed, large fenced pasture w/ 1 of the 2 ponds are on South side of Tabernacle Rd (13ac +/- mostly cleared); remainder of 12ac +/-, also fenced, is on the north side. North side is a mix of field and woods w/ 2nd pond nr roadside. Gently loved & cared for, the home is move-in ready with room to expand. Roof in excellent condition. Barn: 6 stalls/feed/tack/hay storage electricity water. Recent home Inspection available. No survey-buyer responsible for survey.